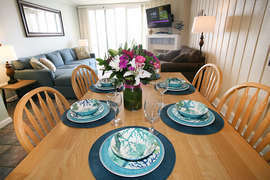 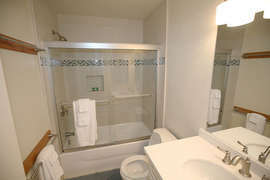 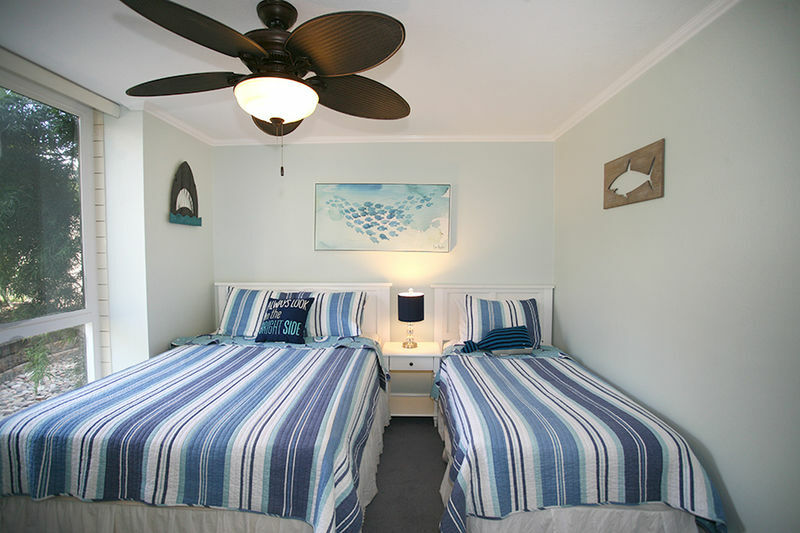 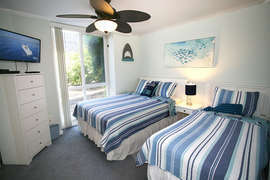 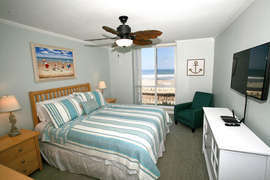 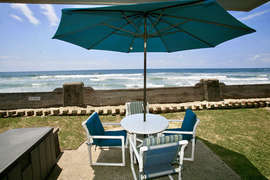 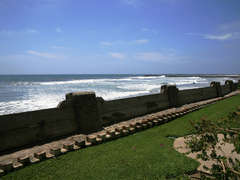 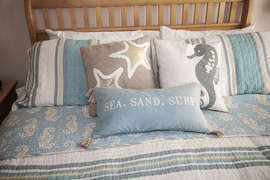 Thank you for visiting Beach Retreat D17 a lower level 2-bedroom beachfront cottage located in North Coast Village. 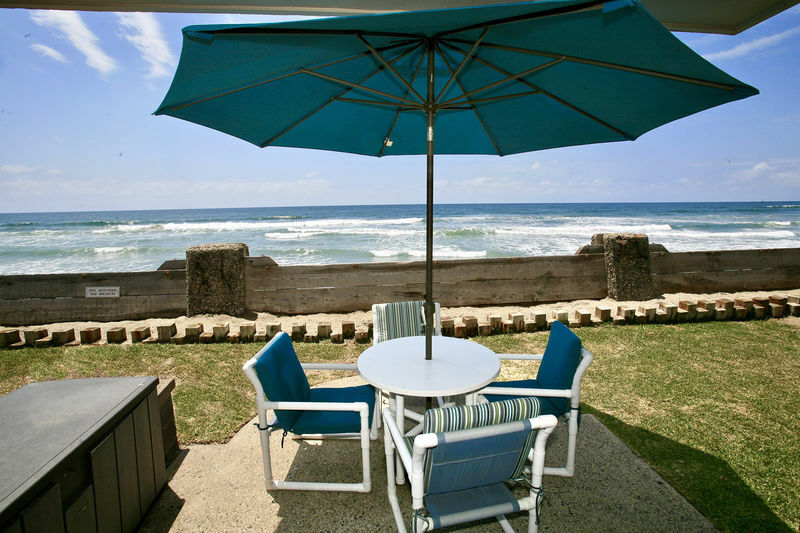 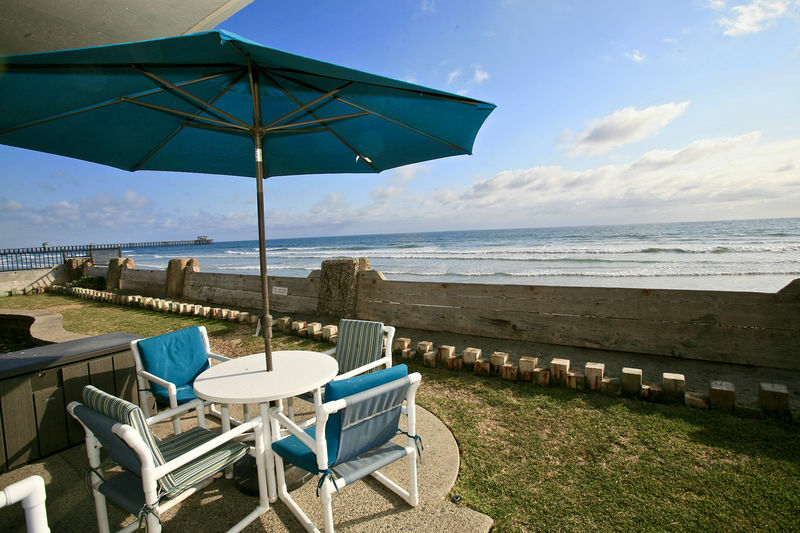 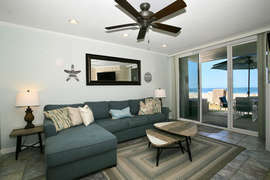 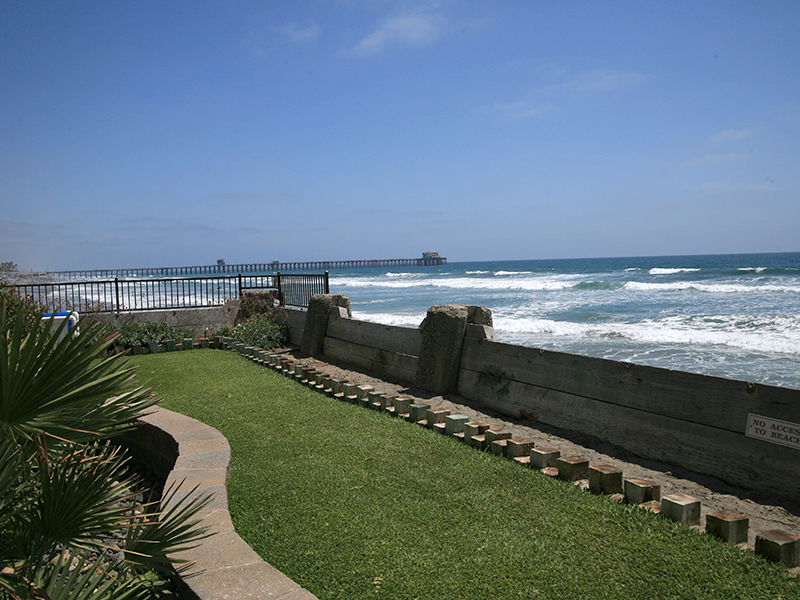 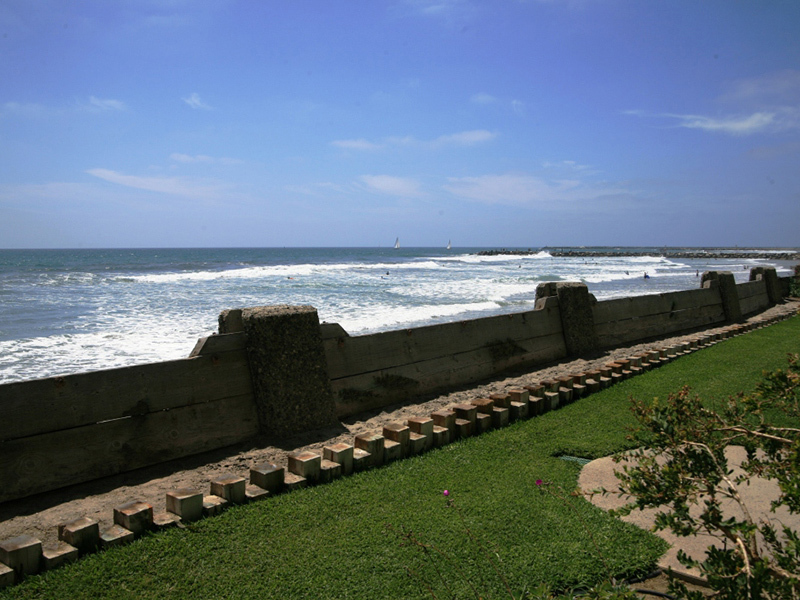 D17 Beach Retreat has a front row view as it is located in the only complex in Oceanside that sits directly On-The-Sand and D17 sits as close to the water as you can get without your swim suit on! Enjoy panoramic unobstructed ocean views from the master bedroom, living room, kitchen, or on the back porch while lounging back and reading a book. 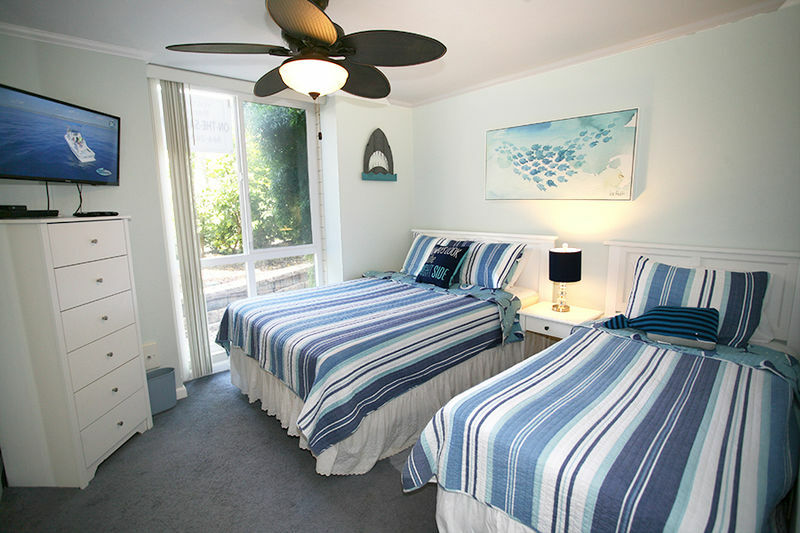 The condo is also stocked with all the needed beach equipment - boogie boards, beach towels, beach chairs, umbrella, and sand toys. 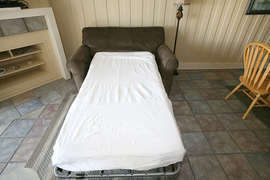 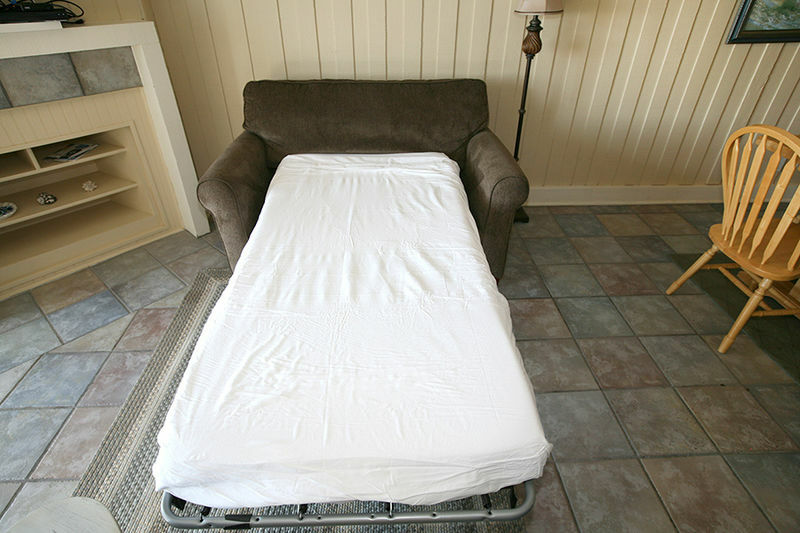 The condo is fully furnished with enough sitting and sleeping to comfortably house 6. 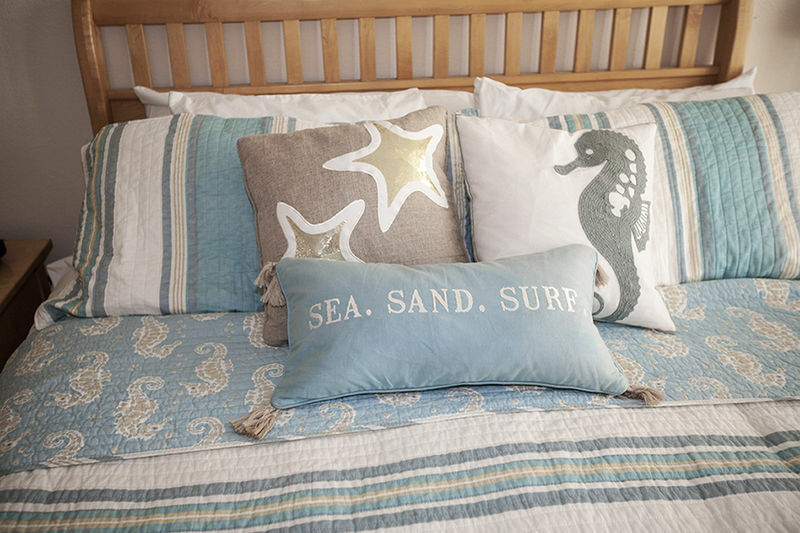 The master bedroom has a beautiful king size bed where you can be lulled to sleep by the sounds of waves crashing at night. 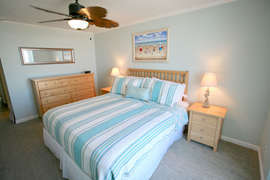 The second bedroom has a queen and twin bed and both bedrooms have cable TV. 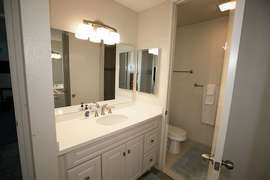 The kitchen has been updated with Corian counter tops and custom cabinets and a table to seat 6. 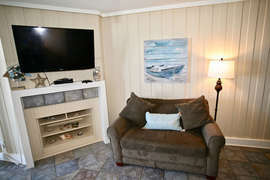 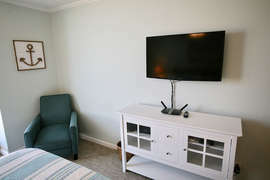 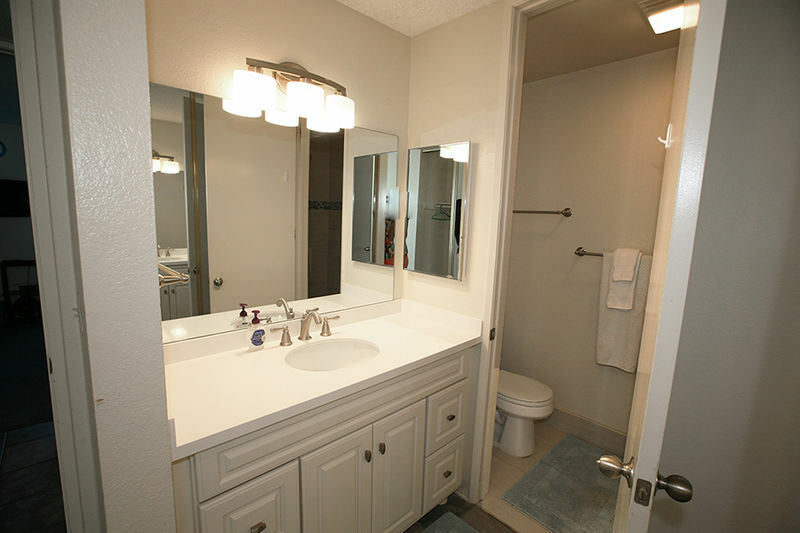 The main living area has a brand new 50" LED flat screen mounted on the wall with comfortable seating for 6.